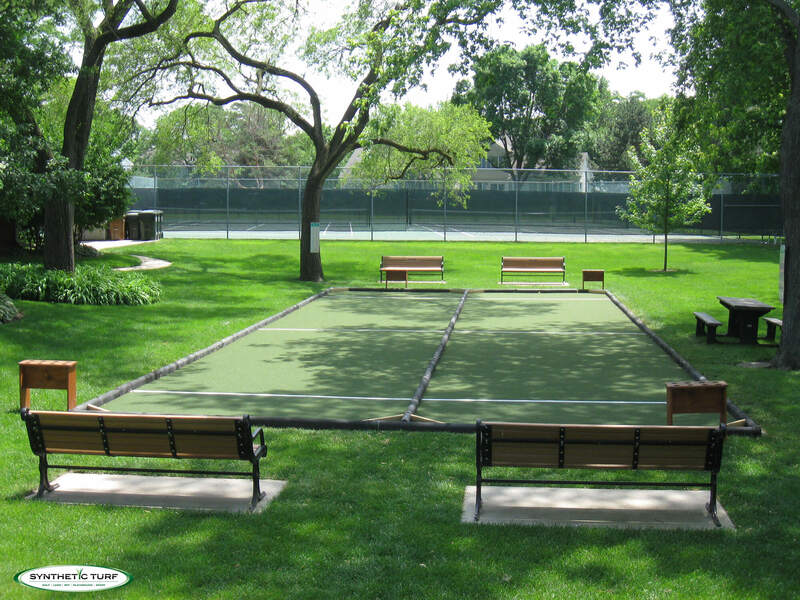 Synthetic Turf of Illinois is the leader in bocce ball courts. We can either sell the turf and our base system direct to you for self-install or we can provide turn-key installation service as we employ our own installers. Our “carpet-style” short-piled turf is the best turf to use for bocce courts. We offer this special turf with a pad attached or without it attached. Synthetic turf bocce courts feel, play, and roll like a real grass court. Artificial turf courts will eliminate the maintenance of clay or real grass and stay the same color year round. Proper drainage will allow water to drain off and/or through the turf. Artificial turf bocce courts are traditionally built over a compacted stone base. We do, however, recommend that you use our underlayment system along with the compacted stone base. This system provides a maintenance-free, true and smooth-rolling court all year long! 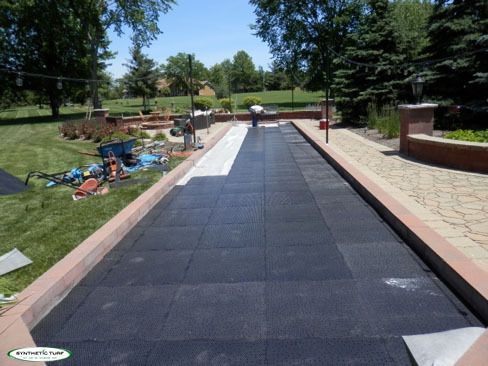 Bocce courts can also be installed over concrete or asphalt. 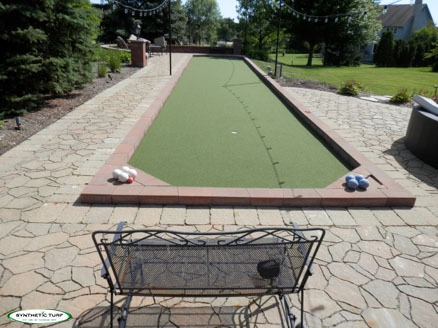 Synthetic Turf of Illinois can customize any bocce court to your dimensions and space: backyards, senior living centers, parks, rooftops, indoor, almost anywhere… The possibilities are endless! Ask us about our “combination courts” – golf and bocce all in one!